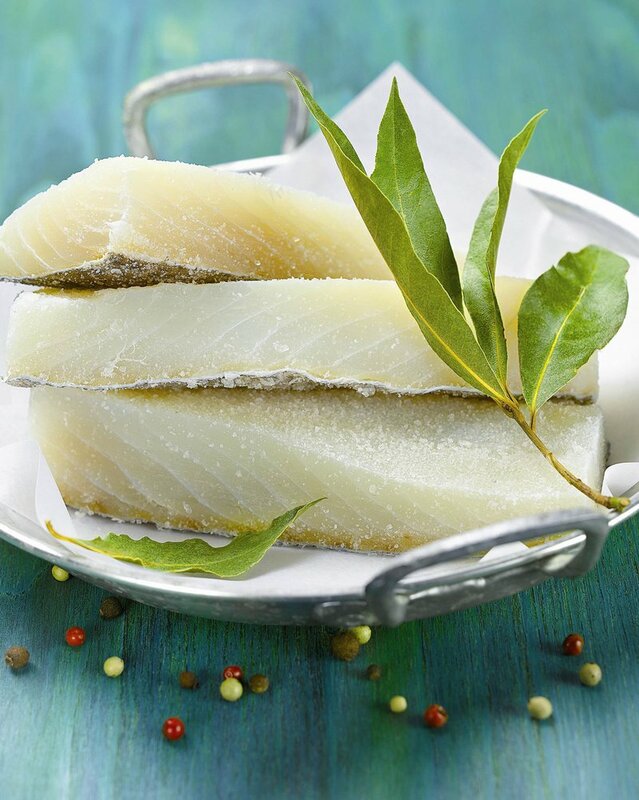 Even though these days fresh cod can be easily found in fishmongers, the magic of this fish is in the traditional technique for preserving it: salting, which gives the codfish a unique taste and texture. Discovered by the Portuguese, Gaspar Corte Real, in his 16th century whaling expeditions to the seas around Terranova, the explorer returned to the Iberian Peninsula with preserved, dried codfish. White cod is the most valued, which is found in the sea around Iceland, where the water temperature is between 1 and 5 ºC. However, the prized fish is also to be found near Norway, Greenland and Nova Scotia. While the salting process is simple enough, desalting the fish requires effort and attention. Returning the fish to its original state means removing the quality of preservation provided by the salt. The front part of the fish is the highly valued, as it can be up to three-fingers thick. The fish can be cooked in the oven, al pil-pil or pickled. The thinner loin, however, is the most highly-prized part of the fish and is ideal for stews and casseroles. Other parts of the fish used in cookery are the belly, the tail and the gelatinous insides. Bacallà esqueixat, in which shredded raw cod is served in a salad, is the preferred way of eating the product in Catalonia in the summer. Many traditional Catalan cod recipes are closely-associated with Lent, when the Church historically prohibited the consumption of meat. In fact, along with the Basque Country and Portugal, Catalonia is one of the three great cod-eating regions of the Iberian Peninsula.